The models are being developed using the OpenOffice.org spread sheet software Calc. Existing modelling guidelines and pharmaco-economic reporting guidelines shall be respected. The models shall be fully documented, transparent and reliable in their predictions. 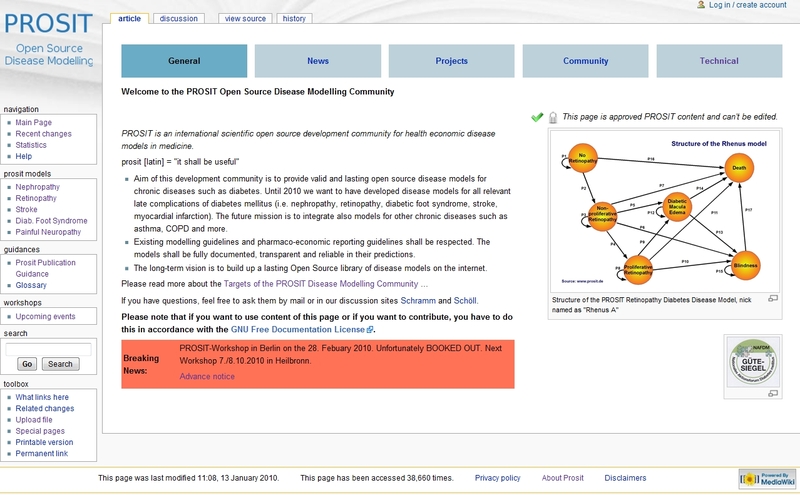 The long-term vision is to build up a lasting Open Source library of disease models on the internet. PROSIT is hosted at the GECKO Institute for Health Economics and Medical Information, Heilbronn University for Applied Sciences (Germany).